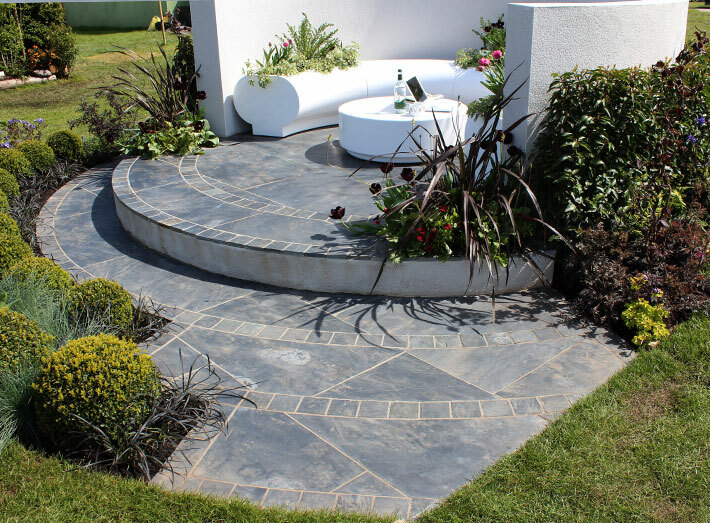 White Halo seats and planters from our contemporary GeoMet range helped create the centrepiece for Nikki Hollier's award winning garden at this year's RHS Malvern show. Just over a year ago, Nikki Hollier swapped her high-flying career in IT to become her own boss offering home and garden makeovers. 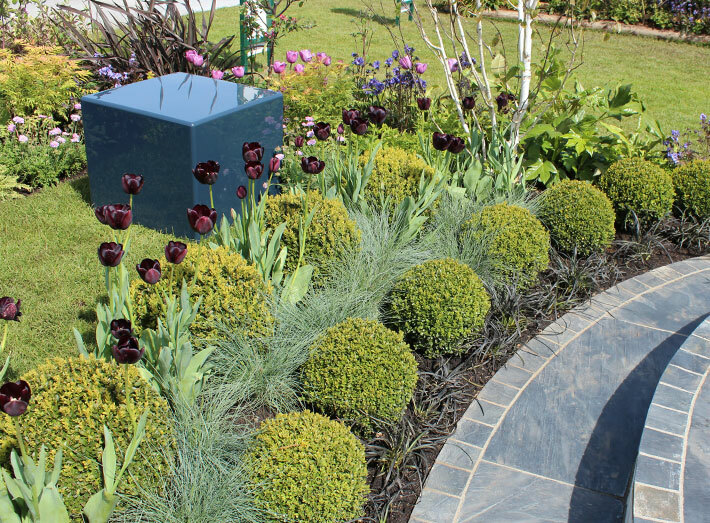 Her passion was putting colours together and after retraining at Pershore Horticultural College and the Cotswold Gardening School, garden design seemed the perfect career to focus on. After finishing her design course in November 2015 she submitted her application for a show garden to the RHS Malvern in December and was accepted to build the proposed garden in February. It all happened very quickly and was the ideal project to help develop her skills and raise awareness of her new business, Styling Homes and Gardens. The theme this year was "Hidden Gems" and as she is a Worcestershire girl, it was an easy decision to incorporate her home county in to the design. "I chose apple trees to reflect the fruit growing region in the Vale of Evesham, which was also used as the design on the Worcestershire Porcelain coffee cups along with a black and white colour scheme which represented the Berrows Newspaper, which is the oldest newspaper in the world that is still in print, and I wanted to include something to represent the beautifully handcrafted Morgan cars that are manufactured locally. I was searching online for circular seating and came across GeoMet. Their sleek and beautifully finished modern seating seemed ideal and looked as appealing as the lines of a Morgan car," said Nikki. 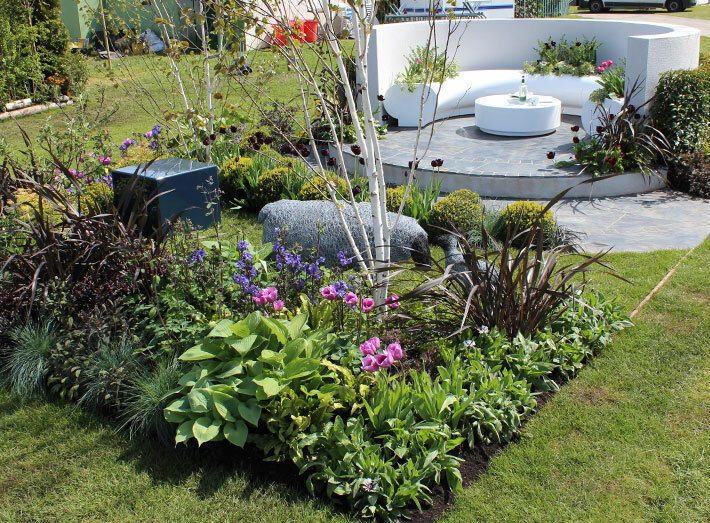 GeoMet has worked with many designers competing at RHS shows and was delighted to help a new garden designer with such innovative plans. 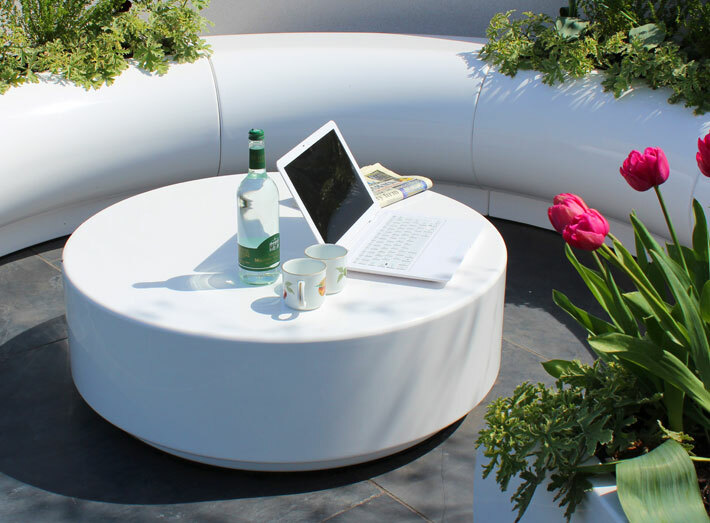 GeoMet created a collection of outdoor furniture pieces to sit alongside a rendered wall, grey/blue Cube seats along with Halo white circular seating, Halo planters and a curved edged Bench coffee table. "I was delighted with the finished result it was exactly as I had designed. I was amazed to win a Silver award from the RHS judges at my first show, but when I discovered the garden had been voted the People's Choice Award I was over the moon. It was amazing! I was given my award by Alan Titchmarsh, which was a very special moment, and he took the time to sit on the GeoMet seats and talk to me about the design." "I was delighted with the garden, especially the Halo seating as it really brought everything together. Visitors to the show also loved the contemporary look and commented how surprisingly comfortable the seating was too, and how the seating didn't soak up the heat and was the ideal temperature to sit upon. I'm very grateful for the support of GeoMet - their kindness and generosity has been amazing." 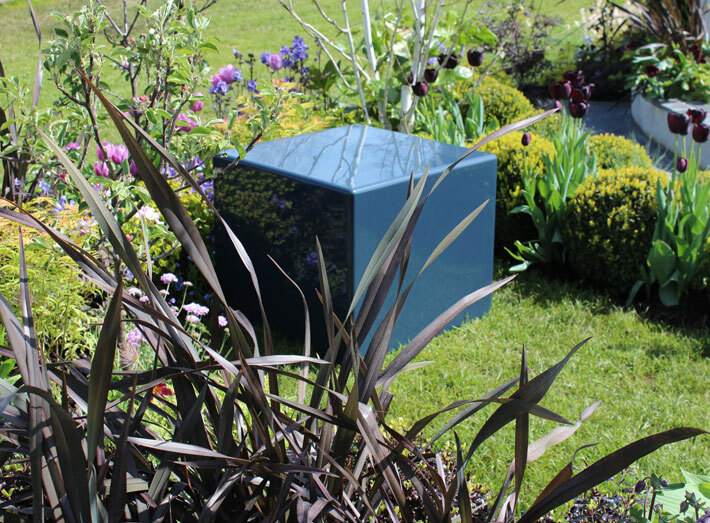 The Halo, Bench, Cube seats and planters that featured in the RHS Malvern garden are geometrically-shaped, modular furniture pieces, designed for mix and match use or as standalone single units. 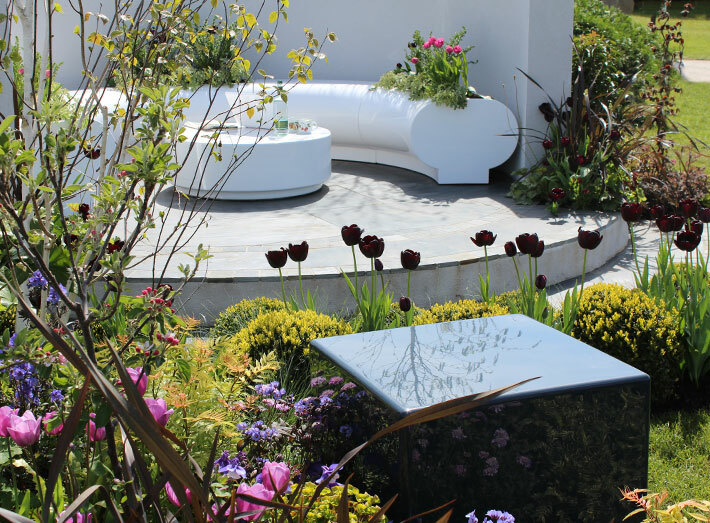 White Halo seats and planters, Cube seats from our contemporary GeoMet range at this year's RHS Malvern show. GeoMet collection of furniture pieces included curved white Halo seats to sit alongside a rendered wall, Cube seats as well as a curved edged Bench low coffee table. 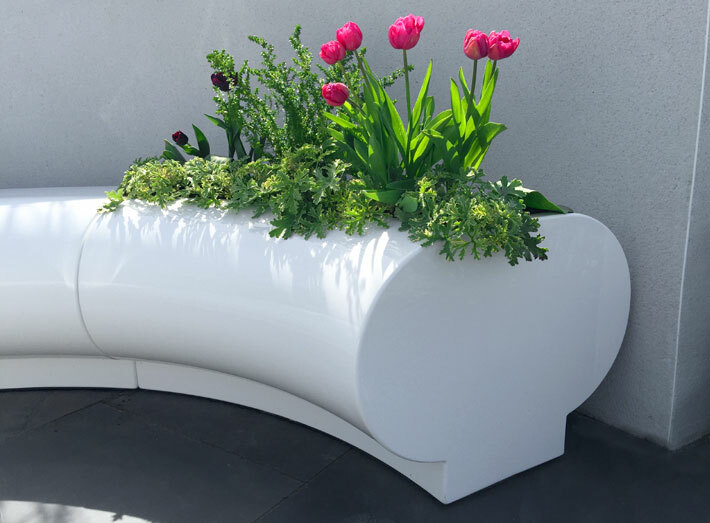 Halo is lightweight and modular in construction and easy to install, available as seat and planter options. 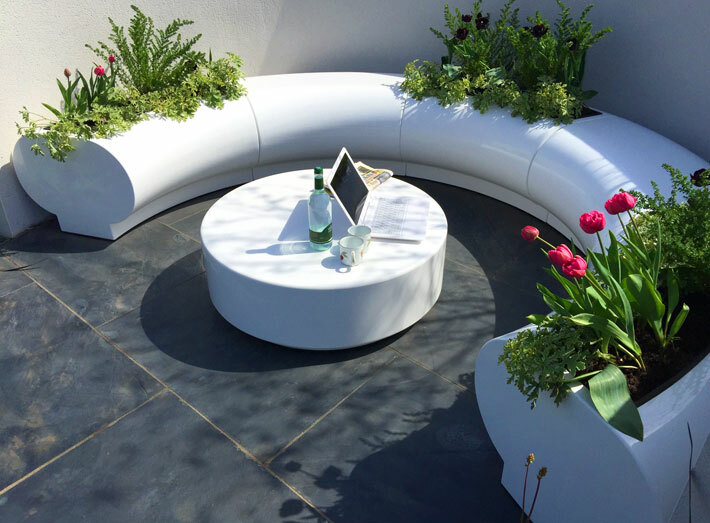 Halo matching planters - exceptionally durable, weatherproof and requires minimal maintenance with maximum visual impact. Bench low coffee table in white. Cube seating, also available as planters. 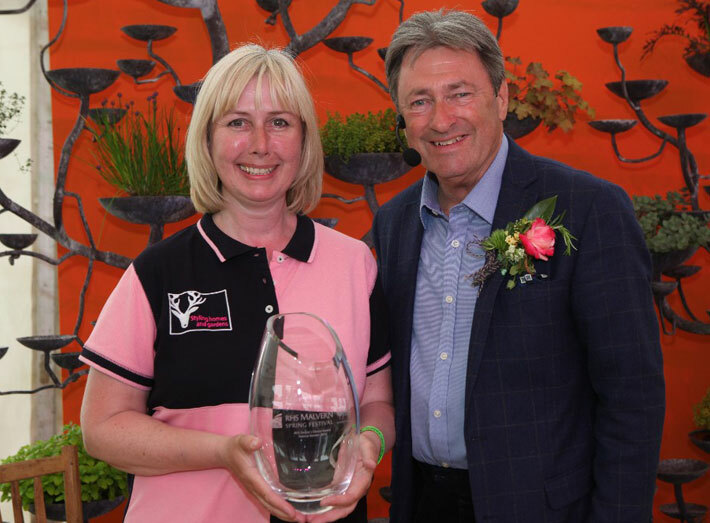 Silver Award and Peoples Choice winner Nikki Hollier with Alan Titchmarsh at RHS Malvern. "I was delighted with the garden, especially the Halo seating as it really brought everything together. Visitors to the show also loved the contemporary look and commented how surprisingly comfortable the seating was too, and how the seating didn't soak up the heat and was the ideal temperature to sit upon. I'm very grateful to the support of GeoMet - their kindness and generosity has been amazing."